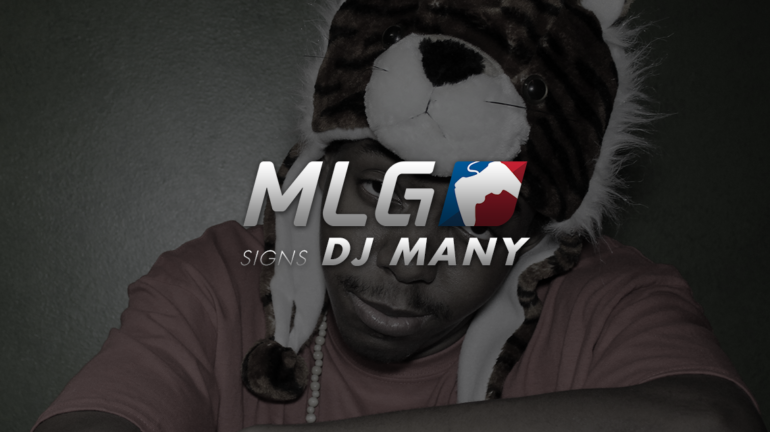 MLG signs DJ Many, the biggest name on their streaming platform so far. The growth of both eSports and Major League Gaming continue as they sign on another big name star. Recently MLG partnered up with a new streamer known as “DJ Many” to be added onto their outlet. He is a celebrity DJ, music producer, songwriter, and artist with approximately 1.16 million Twitter followers which tops even the biggest name pro players in the scene. Many has worked with multiple music celebrities such as Soulja Boy and Rohan Marley, son of the reggae phenomena Bob Marley. Earlier this year, he was flown out to Colorado for the WhateverUSA Festival. While there he was inspired at the event and became a professional snowboarder alongside his ecstatic music career. Separate from his music and snowboarding careers, Many has been within the Call of Duty scene since 2006 around the release of Call of Duty 3. He’s closely followed the growing gaming and eSports’ scene for CoD and now he’s looking to enjoy it live with his supporters on stream. Along with joining MLG, DJ Many has joined under Strictly Business’ streaming team, a professional gaming organization. One can find him temporarily streaming Grand Theft Auto 5 and Call of Duty over on Jermey Story’s stream at MLG.tv/Story. Jeremy is the owner and founder of Strictly Business Gaming and is letting DJ Many utilize his MLG Channel until Many can get his own.